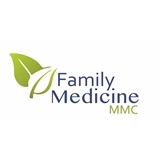 Family Medicine MMC (Houston) - Book Appointment Online! This place is great. Straight to the point no run around's you get your questions answered always. Love this place and love Dr. Mejia!